Pregnancy brings about many awkward feelings along with the excitement and happiness – one of them is the heightened sense of smelling. During pregnancy most of the mothers complain of this odd sensitivity about smell; the odours that they loved once start annoying them – it can be of anything foods, flowers or perfumes. This is caused by high levels of the hormone estrogen that affects the olfactory senses. Many doctors also say that this is associated to the hormonal changes that also cause morning sickness. What is the Level of Smell Sensitivity during Pregnancy? Pregnancy does not treat all equally, thus the level of smelling power cannot be determined at one go! However, this has been proved that pregnant women can smell any strong odour much faster and deeper in every sense. The smells that were their favourite once can also turn out to be awful. While the reverse action is also possible, many pregnant women are seen to love smelling lemons. This trait is not at all harmful until it causes you severe nausea and headache; so it’s better you stay off strong smelling objects while pregnant. Again, please note that some pregnant women have not experienced this kind of smelling sensation at all! How to Cope with this Strong Smelling Sensation? The first method is avoiding the possibilities of contact with the scents that is known to you and bothers you like room fresheners, incense sticks, perfumes, eau de cologne etc. Some foods also trigger this strong sensation; avoid them as well like fish, meat, eggs, etc. However, these foods cannot be avoided from diet as you need animal protein greatly during this time, so check if it can be cooked by someone else. One strange perception again – pregnant women prefer the smell of detergents usually and thus tend to wash clothes more frequently. Moreover, the fibers in cotton retain the detergent scents for long that you might love, thus you might get keener to wear such attires. Ginger tablets and gingle ale are good home remedies to get relief from this heightened smell trouble. Keep ginger biscuits handy and nibble them whenever you get such a sensation – see the magic within seconds! Drink a potion of ginger ale with honey before you are out of bed, it will surely reduce the smelling pangs. Eat small meals all through the day and keep lemons at home and use citrus flavoured products. This will help you to avoid many strong odours, especially in kitchen and refrigerator. 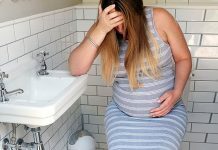 The symptoms of morning sickness and this smelling sensitivity is closely related; thus if you are experiencing both talk to your doctor and see how morning sickness can be alleviated – you are sure to gain added results in controlling the smell sensitivity as well. Pregnancy calls for special cosmetic products that are odour-free and chemical free. Go for them and enjoy your bath and dressing time without the fussy smells. If you are working ask your colleagues to be a bit considerate and wear lighter perfumes. 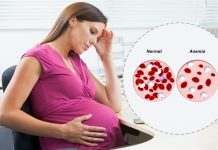 Next articleIs Pregnancy Possible after 40 – How?